There are 69 blog entries for January 2015. Friday, January 30th, 2015 at 11:15am. Windy conditions and rough cooler weather has kept many anglers at the docks this week, but those who made it off land have been seeing plenty of fish. On the east coast of South Florida, winds have shifted to the Northwest about 5 to 10 knots as the front strolled through. Seas are about 3-5 feet with an occasional 6 feet and Intracoastal waters are at a light chop. Friday, January 30th, 2015 at 9:21am. Jupiter Donut Factory has been a staple among Jupiter locals looking to get their donut fix for decades. Soon though, Jupiter won't be the only place that you can get all the delectable treats that Jupiter Donut Factory has to offer. 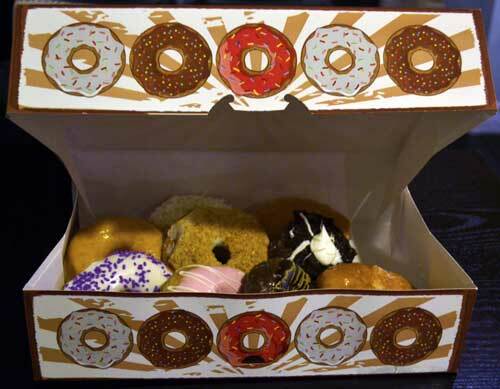 In March, Jupiter Donut Factory will be opening a second location in Royal Palm Beach. It will be located in the Village Royale Shopping Plaza on the northwest corner of Royal Palm Beach and Okeechobee Boulevard. The reason for the second location, store owner Don Pascalli said, is because many of his neighbors in Royal Palm and Wellington have to drive 40 miles to buy his homemade pastries. Once March rolls around, there will be a much more convenient location for them. Thursday, January 29th, 2015 at 4:17pm. 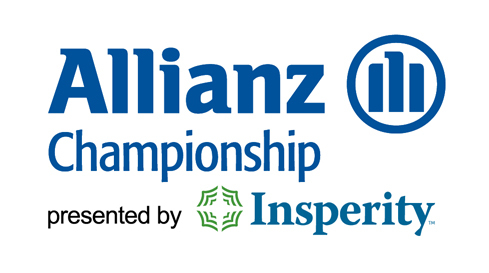 For the 9th straight year the Champions Tour will make it's yearly pilgramage to South Florida where they will set up shop at the Old Course at Broken Sound for the 15th edition of the Allianz Championship. Thursday, January 29th, 2015 at 2:09pm. From the farm to your table is the concept of the new restaurant, Grommet’s Tavern & Eats which was recently opened in Juno Beach, Florida. The name is a twist of two words, Grom, a local term that young surfers are called and Gourmet, hence the name Grommets’. Ironically, the name fits well due to being steps away from the sandy beaches making it the ideal location next to Loggerhead Plaza. 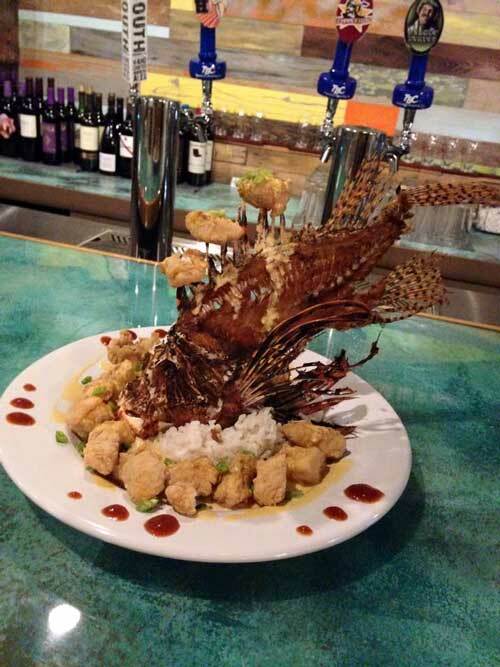 “I want this to be a ‘come as you are’ restaurant. Come from the beach, from the golf course, from shopping, from work, with boards, briefcases or strollers. All are welcome,” says Casey Kerlin, owner of this great new restaurant. Thursday, January 29th, 2015 at 11:15am. 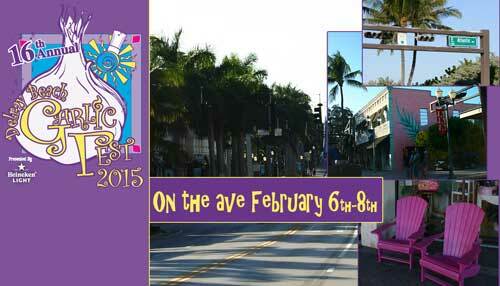 Delray Beach's famous Garlic Fest is returning to the downtown Delray strip February 6th through the 8th. The 16th annual edition of the event will be headed at the Old School Square in downtown Delray and will feature dishes that all incorporate garlic as well as music acts and a kids learning area. The event is dedicated to exploring the numerous health and culinary possibilities of garlic. The festival has even been featured on the Food Network in the past. In addition to the garlic based cuisine, there will be 15 musical acts to enjoy, headlined by Rebelution on Friday night and Trombone Shorty & Orleans Avenue on Saturday. Hours and prices vary by the day. Thursday, January 29th, 2015 at 8:55am. Thursday, January 29th, 2015 at 8:21am. 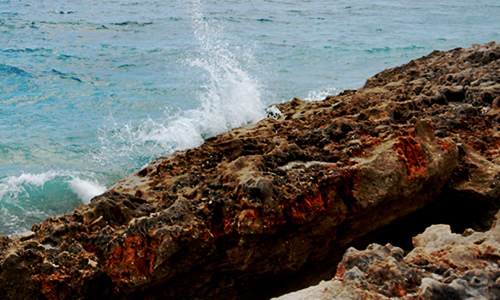 Here are 5 fun things to do with kids in West Palm Beach! Wednesday, January 28th, 2015 at 4:14pm. The South Florida locals shared their story of the playful porpoise! Wednesday, January 28th, 2015 at 10:34am. It won’t be long until the building that housed the former Brix Italian Fishery, located on the Loxahatchee River, north of Burt Reynold’s Park, will be demolished. 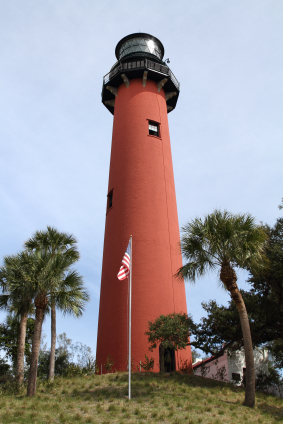 In its place will be a new restaurant called the Jupiter Inlet Restaurant. With plans to connect to Jupiter’s Riverwalk, Jupiter Inlet Restaurant will feature 350 seats, outdoor cabana seating, indoor and outdoor live music, and public boat docks with nine boat slips. 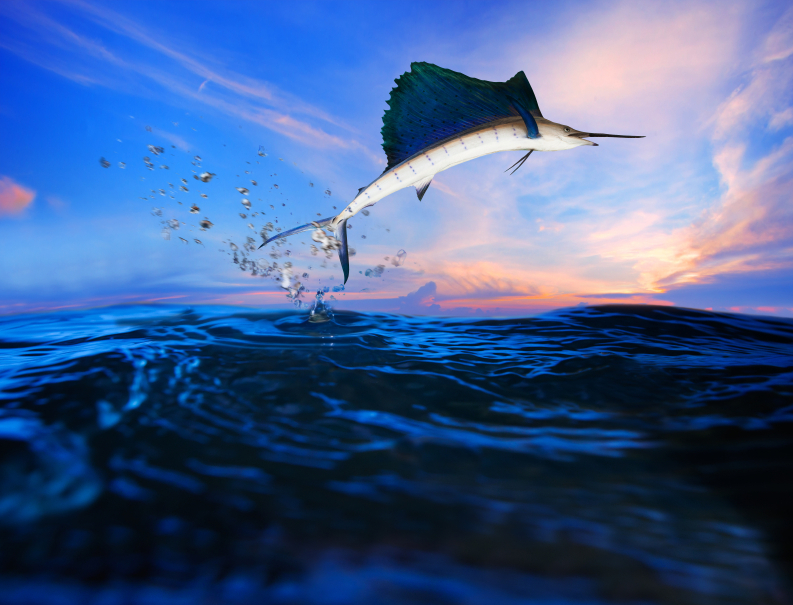 Directly next to the new establishment will be a new fishing pier stretching 225 feet along US1, a $1 million project certain to attract boaters and fishermen from all over. Prior to these plans, the Brix Italian Fishery had been vacant since 2011. Tuesday, January 27th, 2015 at 4:39pm. Have you ever laid out on the warm sand while enjoying some rays of sunlight on South Florida’s beaches and ever wonder what is living beneath your feet? 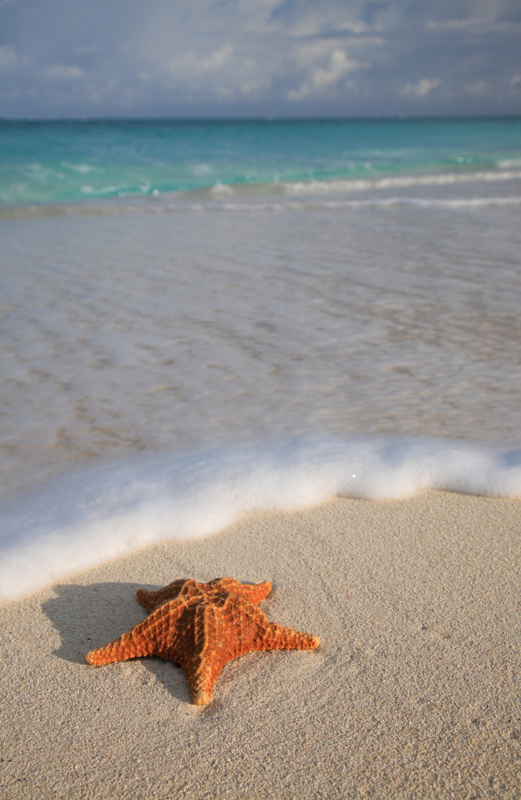 Discover the importance of the small things in nature by joining Loggerhead Marinelife Center in Juno Beach, Florida.